RICH CRM is an Internet networking service provider, utilizing web-based software, where people such as business owners, marketing professionals and group members can organize their groups, perform marketing functions, and manage corporate operations. As described above, anyone who takes advantage of the aforementioned software in any way, form, or fashion, shall be considered a User for purposes of this Agreement. If a User chooses to register on the Site, such User must provide certain personally identifiable information, including but not limited to, name, address, and email address, (collectively "Registration Information"). Providing false Registration Information on the Site constitutes a material breach of this Agreement, to which RICH CRM may immediately terminate User’s access to the Site. If a User is registered though the use of a proxy, a league manager, or a team captain, that particular representative expressly represents that he, she, or it has the proper authority and permission to register such player or User on the Site. Any false or misrepresentation of authority is cause for immediate termination of access to the Site. RICH CRM makes no representations, warranties, or endorsements, express or implied, regarding the quality, accuracy, reliability or condition of any content posted on the Site, regardless of who posted such content or when it was posted or for what purpose it was posted. RICH CRM does not control the quality, safety, truth or accuracy of the content that is posted on the Site and makes no representation thereof. RICH CRM shall have no obligation to review the Site's content and User understands this. All content provided by Users of the Site is the sole responsibility of the User, not RICH CRM. User understands that by making any use of the Site whatsoever, User may be exposed to content that is inaccurate, misleading, or content that User may otherwise find objectionable. User hereby agrees that User shall evaluate and assume all risks and liability associated with the use of any content, and that under no circumstances will RICH CRM or any of its affiliates, be liable for any loss or damage of any kind as a result of the use of any content or service providers posted, emailed or otherwise made available through the Site. Any Registration Information, computer information, or other information User provides to RICH CRM in connection with User’s use of the Site: (a) shall not be false, inaccurate, deceptive, deceitful, or misleading; (b) shall not be obscene or indecent; (c) shall not contain any viruses of any kind, Trojan horses, worms, time bombs, or other computer programming routines that are intended to damage, detrimentally interfere with, surreptitiously intercept or expropriate any system, data or personal information; (d) shall not infringe any third party's copyright, patent, trademark, trade secret or other proprietary rights or rights of publicity or privacy; (e) shall not be defamatory, trade libelous, unlawfully threatening or unlawfully harassing, invasive of another's privacy, or harm minors in any way; (f) shall not create liability for RICH CRM or cause RICH CRM to lose (in whole or in part) the software products or RICH CRM’s suppliers; and (g) shall not include personal or identifying information about another person who does not wish to be included. User’s shall comply will all applicable laws, statutes, ordinances and regulations regarding use of the Site. RICH CRM reserves the right to report any wrongdoing, if RICH CRM becomes aware of it, to the applicable government agencies. If User breaches any provision of this paragraph, RICH CRM may not only immediately terminate User’s access to the Site, but User agrees that RICH CRM shall bring any and all legal action against User allowed within the law for such tortious conduct. Any use, reproduction, redistribution of any products by User, software or otherwise, that are not in accordance with the intended use of the Site, are expressly prohibited by this Agreement, the law, and can result in severe civil and criminal penalties. RICH CRM may, at its sole discretion, prosecute violators to the maximum extent of the law. ANY COPYING, DISTRIBUTION, REPRODUCTION, REDISTRIBUTION, OR FURTHER REDISTRIBUTION OF THE SITE OR ANY SOFTWARE PRODUCTS TO ANY OUTSIDE LOCATION, OTHER SERVER, OUTSIDE PARTY, ENTITY, OR PERSON, IS EXPRESSLY PROHIBITED WITHOUT THE EXPRESS WRITTEN CONSENT OF RICH CRM. No agency, partnership, joint venture, employee-employer or franchiser-franchisee relationship is intended to be created or in fact created by this Agreement between User and RICH CRM. This Agreement is between the User and RICH CRM and is not intended to be for the benefit of any third party. If there is a dispute between participants on this Site, or between User and any third party, User understands and agrees that RICH CRM shall not be under any obligation to become involved. In the event that one User has a dispute with one or more other Users or third parties, both Users hereby expressly and unconditionally release RICH CRM, RICH CRM’s officers, employees, agents and successors in rights from claims, demands and damages (actual and consequential) of every kind or nature, known or unknown, suspected and unsuspected, disclosed and undisclosed, arising out of or in any way related to such disputes and/or services. User shall also fully indemnify RICH CRM, its officers, employers, agents, successors and the like fully for any claims made by a third party, including claims for costs and attorneys fees. User represents and warrants that User completely owns or otherwise has full lawful rights and control over all of the rights to the content to which User has posted or will post, or use, and such content is of an accurate nature. RICH CRM reserves the right, but not the obligation, to refuse to post or to remove any content or portions thereof, in any media worldwide if it contains or features any content RICH CRM, in its sole discretion, deems inappropriate. With respect to content User submits or make available for inclusion on the Site, (“Content"), User grants RICH CRM a world-wide, royalty-free, perpetual, irrevocable and fully sub-licensable license to use, distribute, reproduce, modify, adapt, publish, translate, publicly perform and publicly display such Content (in whole or in part) and to incorporate such Content into other works in any format or medium now known or later developed. This license means that RICH CRM®, its parent, subsidiary or affiliated companies have the unrestricted, perpetual and exclusive right to use, reproduce, modify, transmit, and distribute any and all materials and communications regarding and including submitted reviews, or portions thereof, in any media worldwide. RICH CRM utilizes reasonably secure servers to protect Users Registration Information. Users shall not disclose Registration Information to third parties. Users understand that they are fully responsible for all activities which occur under their Registration Information. User agrees to immediately notify RICH CRM in writing of any unauthorized use of User's own account. Anyone deemed a proxy, in charge of another User’s account, a league manager, or a team captain, agrees to refrain from disclosing Registration Information to third parties, unless written consent from RICH CRM is obtained prior to such information is disclosed. Users have read and understand the terms of our Privacy Statement more fully described at http://www.richcrm.com.au/privacy.html which is hereby incorporated into this Agreement by reference as (Exhibit “A”). Users acknowledge that the Site may link to other sites on the World Wide Web which may not controlled by RICH CRM and that the collection of a RICH CRM's data by these other sites may be outside the scope of RICH CRM’s control. RICH CRM reserves the right to monitor a User's use of the Site in accordance with our Privacy Statement. Users acknowledge that by becoming a User, they consent to receipt of certain email messages from RICH CRM in connection with the use of the Site and software, including without limitation newsletters, notifications by league managers, captains and other players and reminders of events, event schedules and attendance. Users shall not use any device, software, or routine to interfere with the proper working of the Site. Users shall not use any method to intercept or expropriate any system data or information from the Site without the express written consent of RICH CRM. Consent shall not take any action that imposes an unreasonable burden upon the infrastructure used to support the efficient operation of the Site including but not limited to unsolicited email or Spam. Users shall not use any robot, spider, other automatic device, or manual process to monitor or copy our web pages or the content contained herein without the prior expressed written permission of RICH CRM. Information on the Site is frequently updated and is proprietary or is licensed to RICH CRM. Users shall not copy, reproduce, alter, modify, create derivative works, or publicly display any content from the RICH CRM web site without the prior expressed written permission of RICH CRM and the appropriate third party. 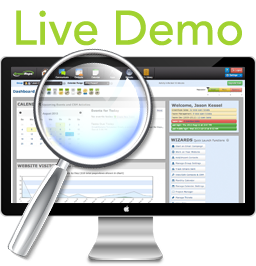 RICH CRM periodically schedules system downtime for maintenance and other purposes. Unplanned system outages also may occur. RICH CRM shall have no liability whatsoever for the resulting unavailability of the Site or for any loss of data or transactions caused by planned or unplanned system outages or the resultant delay, mis-delivery, non-delivery of information caused by such system outages, or any third party acts or any other outages of web host providers or the Internet infrastructure and network external to the Site. RICH CRM provides this web site and the software products "as is" and without any warranty or condition, express, implied or statutory. RICH CRM specifically disclaims, and User expressly waives, any implied warranties of title, merchantability, and fitness for a particular purpose, accuracy of informational content and non-infringement. User assumes total responsibility and risk for use of this site, use of any service providers obtained from this site, the software products, and hyperlinked web sites. RICH CRM makes no warranty that the site will meet User’s specific requirements or expectations, or that software products or services will be uninterrupted, timely, secure or error free, nor do we make any warranty as to the results that may be obtained from the use of the software products or as to the accuracy or reliability of any information obtained through the site or that any defects will be corrected. No advice or information, whether oral or written, obtained by a user from RICH CRM shall create any warranty not expressly made herein. This disclaimer is made to the fullest extent permitted by law. RICH CRM, its parent company, shareholders, affiliates, suppliers or their respective authorized representatives shall not be liable for any indirect, consequential, incidental, special, punitive or exemplary damages, or for any loss of profits or revenue, including but not limited to loss of sales, profit, revenue, goodwill, or downtime, (however arising in tort, contract, or otherwise) regardless of such party's negligence or whether such party knew or should have known of the possibility of such damages. If any court of competent jurisdiction strikes the above clause down for whatever reason, RICH CRM’s liability shall still be limited to the fullest extent permitted by law. Users understand and agree that the download and upload of any material through this site is done at User’s discretion and risk and that User’s will be solely responsible for any loss or damage to User’s computer system or loss of data that may result in the download or upload of any material. RICH CRM neither assumes, nor does it authorize any other person to assume on its behalf, any other liability in connection with the provision of the site and software products. The limitations of liability provided in this Agreement inure to the benefit of RICH CRM, our parent company, shareholders, affiliates and to all of our respective officers, directors, employees, attorneys and agents and, in each case, liability is limited to the fullest extent permitted by law. User shall indemnify, defend and hold harmless RICH CRM, its parent company, shareholders, subsidiaries, affiliates, officers, directors, employees, agents and advisors from and against any and all claims, demands, actions, costs, liabilities, losses and damages of any kind (including attorneys' fees and costs) resulting from User's use of the Site or software products provided hereunder by RICH CRM and Visitor's or User's breach of any provision of this Agreement or any intentional wrongdoing by Visitor or User. Notices to User and RICH CRM shall be by email or sent via certified mail, return receipt requested. Email to RICH CRM shall be sent to info@RICH CRM.com or, if by certified mail, to RICH CRM, such notice shall be sent to: 249 S. Hwy 101, Suite 525, Solana Beach, San Diego, CA, 92075. Email Notices sent to Users within the USA shall be sent to the email address contained in User's Registration Information. US Mail to User shall be sent to the address User provides. If User fails to provide such an address then RICH CRM shall not be under an obligation to locate or sent US Mail. User is responsible for keeping User's Registration Information current. RICH CRM shall not be responsible for User's failure to receive notice if User's Registration Information is incomplete, not current, or otherwise inaccurate. Notice sent by email shall be deemed given twelve (12) hours after email message is sent. Users can modify email addresses and other Registration Information previously provided to us by emailing support@richcrm.com.au or by updating their account information online. The Site is offered by RICH CRM. RICH CRM is currently located at 249 S. Hwy 101, Suite 525, Solana Beach, CA 92075. Anyone wishing a copy of this Agreement may obtain such by writing a formal written request to RICH CRM, accessing the Site, or emailing support@RICH CRM.com. Questions concerning the Site, the software products, or any aspect of this Agreement should be directed to RICH CRM. User shall not send unsolicited bulk email (spam). All Users are required to accept and adhere to RICH CRM's anti-spam policy (attached hereto as (Exhibit “B”) and incorporated by reference). This policy also applies to using RICH CRM's network to send SMS text messages. If a User signs up for a paid RICH CRM subscription or account, that User shall be deemed an “Account Owner” and the following additional terms and conditions shall also apply to such User. Such Account Owner may have contacts in his or her account that may use the Site to make payments to the Account Owner for events, such as meetings, practices, event fees, sports equipment or other fees or costs relating to the group or team. The charge to an Account Owner for the ‘Premium Account Membership’ shall be charged on the Account Owner’s credit card at the end of each 30-day cycle after Account Owner’s initial subscription date. Pricing for accounts is available on the Pricing page of the richcrm.com.au website. Such charge shall reflect RICH CRM's parent company, Synchronous Technologies Inc.
RICH CRM offers additional benefits to the Account Owner (paying subscribers). These benefits include, but are not limited to, more flexible emailing tools, faster contact import functions, and processing of payments for events and seasons. RICH CRM offers a store venue ("Store") which allows Account Owners to offer and sell items to the public at large. RICH CRM shall in no way be involved in the transaction between buyers and sellers. Any dispute between the buyer and the seller shall not involve RICH CRM. Account Owners shall therefore indemnify RICH CRM fully for any costs, fees, including attorneys fees RICH CRM may have to pay in defending itself in defending itself against a buyer or a seller. RICH CRM does not transfer legal ownership of items from the seller to the buyer. Nothing in this Agreement shall modify the provisions of California Commercial Code Section 2401(2) which provides in pertinent part "Unless otherwise explicitly agreed title passes to the buyer at the time and place at which the seller completes his performance with reference to the physical delivery of the goods, despite any reservation of a security interest and even though a document of title is to be delivered at a different time or place; and in particular and despite any reservation of a security interest by the bill of lading." Account Owner agrees that RICH CRM charges a transaction fee for payments made through the Site by players to Account Owners and payments made through the Store by any buyer. Such transaction fee(s) shall be charged on Account Owners credit card at the end of each month. By signing up for the premium account, Account Owner expressly authorizes RICH CRM to automatically process all such fees by credit card at the end of each month. All transaction fees shall be non-refundable. The fee charged by RICH CRM shall be in addition to any transactional fees paid to PayPal or Authorize.net. PayPal and Authorize.net are third party vendors which provide on-line payment services. Any other item that violates any applicable federal, state or local law or regulation or which RICH CRM determines, in its sole discretion, is inappropriate for sale through the Store. If Account Owner does violate this provision, RICH CRM shall be able to immediately terminate Account Owner’s account, and recover any and all fees, costs and expenses incurred from such actions, including attorneys fees. RICH CRM may terminate Account Owner’s account and services at any time upon notice to Account Owner. RICH CRM may also, but has no duty, to immediately terminate its services, terminate Account Owner’s access and password and/or remove any content. Upon termination, Account Owner shall remain fully and solely responsible for any applicable transaction fees still due and owing. Termination by Account Owner requires 30 days written advance notice to RICH CRM. Account Owner may request a refund for any unused prepayments that were collected by RICH CRM. All subscription-related refunds will be pro-rated with the remaining balancing starting 30 days from the receipt of the request to cancel the account. This refund will be processed within 30 days of receipt of the account termination request and will be in the form of a credit to the card RICH CRM has on file. RICH CRM provides the Store "as is" and without any warranty or condition, express, implied or statutory. To the fullest extent legally permitted, RICH CRM specifically disclaims any implied warranties of title, merchantability, and fitness for a particular purpose, accuracy of informational content and non-infringement. Account Owners assume total responsibility and risk for use of the Store. RICH CRM®cannot guarantee continuous or secure access to its services and operation of the Store may be interfered with by factors outside of its control. RICH CRM shall not be liable for any loss of money, goodwill or reputation or special, indirect, or consequential damages arising out of Account Owners use of the Store or RICH CRM's services. A User who signs up as a member of a group on the RICH CRM Site shall be deemed a “Member”. Members of groups may have additional benefits provided to them. There are no additional monthly fees charged to group members. User, Member and Account Holder agree that PayPal and RICH CRM® charge fees for payments made through the Site. Such transaction fee(s) are in addition to event and season fees. By providing your billing information through the RICH CRM and PayPal payment systems, User, Member and Account Holders expressly authorize PayPal and RICH CRM to automatically process all such fees. All transaction fees are non-refundable. PayPal is a third party vendor which provides on-line payment services. RICH CRM assumes no risk of liability in connection with these transactions, and any disputes shall be handled directly between the parties and not involve RICH CRM whatsoever. Individuals, companies, and other entities may choose to sponsor a RICH CRM group or company (hereinafter "Sponsors"). Sponsors and their sponsorships are displayed on the group Website, at the discretion of the group organizer. Some accounts provide an online mechanism for a third party to become a Sponsor directly through the group Website. Users, Members and Account Holders agree that PayPal, Authorize.net, and RICH CRM charge fees for payments made through the Site by Sponsors to Account Owners. Such transaction fee(s) are in addition to sponsorship fees charged by the Account Owner. By providing User, Member, or Account Holder billing information through the RICH CRM and PayPal and Authorize.net payment systems, RICH CRM is expressly authorized to automatically process all such fees. All transaction fees are non-refundable. PayPal and Authorize.net are third party vendors which provide on-line payment services. RICH CRM assumes no risk of liability in connection with the transactions between Sponsors and Account Owners, and any dispute between a Sponsor and an Account Owner shall be handled directly between the Sponsor and Account Owner. RICH CRM collects Personal Information from Users in a number of ways, examples of such are: when Users visit the RICH CRM Site, RICH CRM collects Personal Information when Users: (1) register and set up an account; or (2) contact RICH CRM by e-mail for any reason. When Users visit the RICH CRM web site, some information is also automatically collected, such as the Users computer's Internet Protocol (“IP”) address, Users computer's operating system, the browser type, the address of a referring web site, and the time and date of Users visit and purchases. RICH CRM treats this information as Personal Information if it is combined with or linked to any of the identifying information mentioned above. While these may be some examples of how RICH CRM can gather and obtain User Personal Information, User shall not consider this to be an exhaustive list. RICH CRM uses Personal Information to process User requests and provide Users with services, to inform Users about other products, to provide Users with products and/or services RICH CRM believes may be of interest to the User. When RICH CRM uses User Personal Information in its own marketing efforts, RICH CRM provides Users with options and do not disclose the User’s Personal Information to third parties, except as described in this Policy. Personal Information provided online may be linked together or merged with other Personal Information so that RICH CRM may better understand User needs and inform Users about RICH CRM products or services. RICH CRM also uses User Personal Information to send Users informational e-mails, including without limitation to newsletters, notifications by account owners, project managers, forum moderators, league managers, group members, and reminders of event schedules and attendance. If Users send emails through the RICH CRM Site, the User must understand that the email will include email address and any personal message included. Due to the nature of the e-mail being sent from the RICH CRM® Site, these emails are not private communications and therefore are not confidential. RICH CRM has no responsibility to keep such information confidential if User sends emails through the RICH CRM Site. User shall not use the Site or any software provided through the Site to send spam or content that violates this agreement or any other User agreement. RICH CRM has put security measures into place in an effort to protect User’s Personal Information while such information is under RICH CRM control. All Personal Information relating to Users are stored in a reasonably secure environment, separate from the Site. User’s account information is accessible online only through the use of a confidential password. To protect the confidentiality of Personal Information, User must keep its password confidential and not disclose it to any other person. User is solely responsible for all uses of the Site by any person using User password. User shall advise RICH CRM immediately if User believes its password has been misused or improperly obtained. RICH CRM gives the User the opportunity to opt-out of receiving communications from RICH CRM and to view, correct, or delete User’s own Personal Information. RICH CRM does not sell, rent, or share Personal Information with third parties without User’s prior consent, except in the limited circumstances, such circumstances described in this Policy. RICH CRM may share Personal Information with third-party vendors who assist RICH CRM in performing functions necessary to operate RICH CRM’s own business. These functions may include, but are not limited to, website hosting, credit card transaction processing, and data entry. RICH CRM limits User Personal Information shared with RICH CRM third-party vendors to that which RICH CRM believes is necessary to carry out those functions. In addition, RICH CRM may disclose Personal Information in the good faith belief that RICH CRM are lawfully authorized to do so, or that doing so is reasonably necessary to comply with legal process or authorities, respond to any claims, or to protect the rights, property or personal safety of RICH CRM, its users, its employees or the public. Information about RICH CRM Users, including Personal Information, may be disclosed or transferred as part of, or during negotiations of, any merger, sale of company assets or acquisition. Automatically Collected Information: RICH CRM automatically receives certain types of Personal Information whenever a User interacts with RICH CRM. For example, when a User visits the Site, RICH CRM automatically collects the User IP address and the type of browser the User uses. Information may be automatically collected through the use of a term called "cookies." RICH CRM also collects various types of information called ‘clickstream information’, which is information about Users browsing behavior, such as IP address information, entry and exit points for the Site, search terms, web site addresses User visits, page views, and impressions. Cookies are also collected. Cookies are small text files placed on Users hard drive by a web site when Users visit a particular website. These files identify a User’s computer and record a User’s preferences and other data about a User’s visit so that when the User returns to the site, the site knows who the User is, and can personalize the User visit. Most browsers automatically accept cookies as the default setting. Users can modify the setting to reject cookies or to prompt Users before accepting a cookie from the sites User visit by editing browser options. RICH CRM may place or recognize a unique cookie on Users browser to enable Users to receive customized content or services. Any cookies made available to shopping carts or other tracking information sent to third parties will reflect only de-identified demographic or other data linked to data Users have voluntarily submitted to RICH CRM, will be encrypted, and will not be used to identify Users individually. If Users decide not to accept RICH CRM cookies, Users will still be able to access those parts of the RICH CRM site available to the general public, but Users may not be able to login or use the site's features or services, and Users may have a less satisfactory experience.